So this is also where General Motors (GM) invited journalists to come and try out the new all-electric Chevy Bolt EV. It also helps that, thanks to eons of geologic activity, this area has lots of steep hills where roads rise, fall and twist. In other words, it can be a fun place to drive. And it turns out the Bolt is a pretty fun car. It won't win any races, but with 200 horsepower it's got enough juice even with over 3,500 pounds of weight. Thanks to the uniquely punchy behavior of electric motors, that power comes on without hesitation. Plus, the car's weight is in the right place, down low under the seats where the Bolt's hefty battery pack lives. The tall hatchback body means sitting high off the road in this car -- GM bills it as a crossover but, sorry, I refuse to play along -- and the steering isn't quite sports-sedan sharp. But it's not bad. I kept imagining how much fun this electric drive system would be in a low-slung convertible sports car. 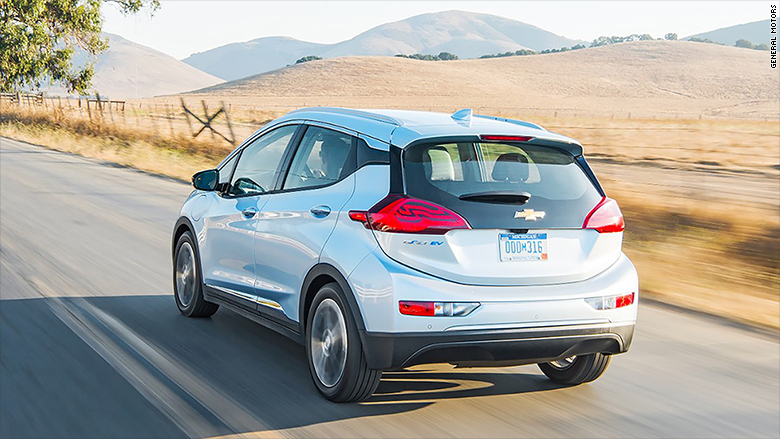 Besides powerful performance, the Bolt's big battery pack also gives it 238 miles of driving range, as estimated by the EPA. That's way more than other electric cars near its price range. It's also enough for the Bolt to take on the Tesla Model 3 which is expected to come out later this year with a similar range. 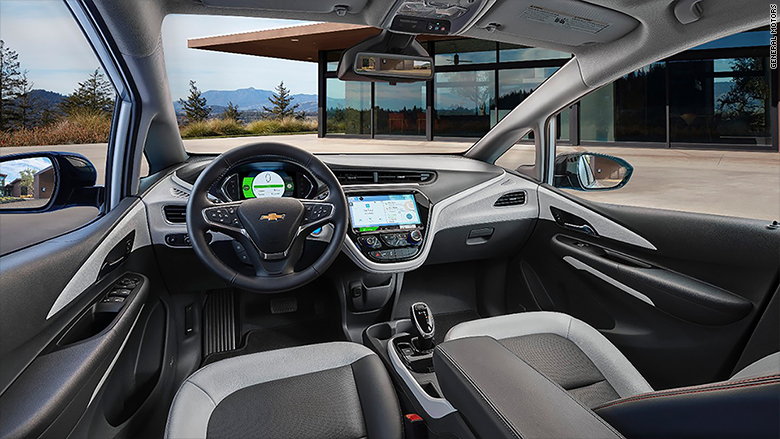 The best feature on the Bolt is that, if you want, you could hardly ever use the brake pedal. Shift the "gear selector" to Low and, when you lift your foot off the accelerator, the car slows dramatically, as if you were stepping gently on the brake pedal. This also charges the batteries a little, again just like stepping lightly on the brakes. It's not a novel idea. Pretty much all electric cars can do this. But you can bring the Bolt to a full stop this way. That's hard to do in most electric cars. A small lever on the back of the steering wheel helps to slow the car. Once you get the hang of it, you nearly only need the brake pedal in an emergency. Things like entertainment and phone controls work through a big 10-inch touch screen that's clear, simple and works nicely. The gauge cluster, where the speedometer lives, is also a customizable eight-inch computer screen with speed and information displays in splashy colors. The interior is, overall, nicely designed although some people might not love the textured plastics. (I wasn't sure about them myself. There's a bit of a 1970s bathroom decor esthetic, I thought.) People probably will like the available in-car Wifi and lots of available driving assistance technologies. 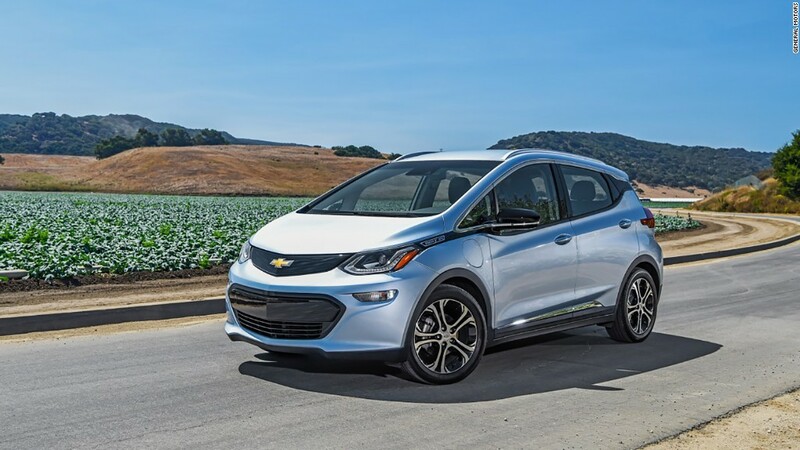 With a starting price of about $37,000, the cheapest Bolts should start at about $30,000 after government tax breaks for electric vehicles. That's roughly in-line with the Tesla Model 3. Given how good the Bolt is, whether the Model 3 will be worth the wait for is now genuinely open to question.